The Earth system and restoration ecology have always been of great interest to me. Through CEB, I’ve been able to get so much hands-on experience and have gotten to see so many parts of Orange County that most people won’t ever see. 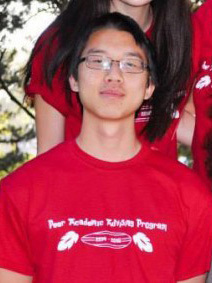 I’ve gained so many practical skills in things such as field research methods, scientific writing, and analyzing data. It’s given me the opportunity to create my own research project and write a thesis on restoration ecology, specifically soil microbes role in it. Plus, it’s always great to be able to spend an entire day outside in the woods, rather than in a classroom. CEB is definitely a great opportunity to learn and experience so much, and I’m so glad that I’ve been able to be a part of it. Finding passion in the flourishing subject that is environmental science, it’s an honor working with the Center of Environmental Biology as I develop the skills necessary to tackle current sustainability issues. Living by the coast in the LA County, I find oceanography more interesting everyday whether it is through research or education & outreach. 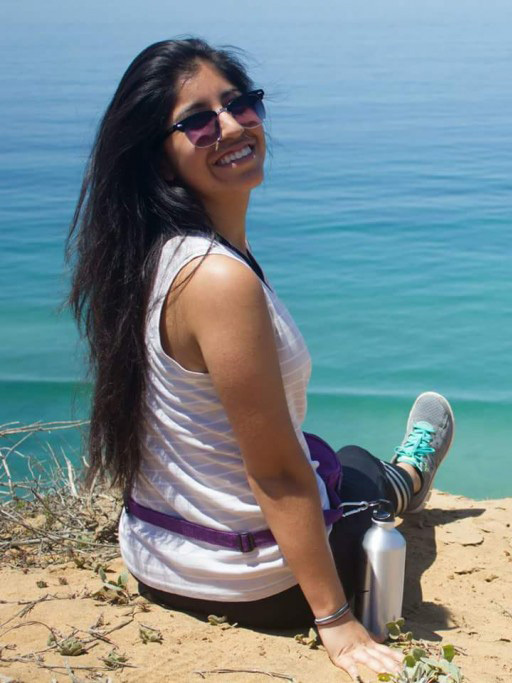 The CEB program is undeniably fantastic, granting me opportunities to give back to my community while also allowing me to discover my career options in the environmental science field. In addition, the faculty/staff and fellow interns are some of the brightest people I’ve met at UCI and continue to teach me new skills/tips. My experience with CEB has been a unique experience. 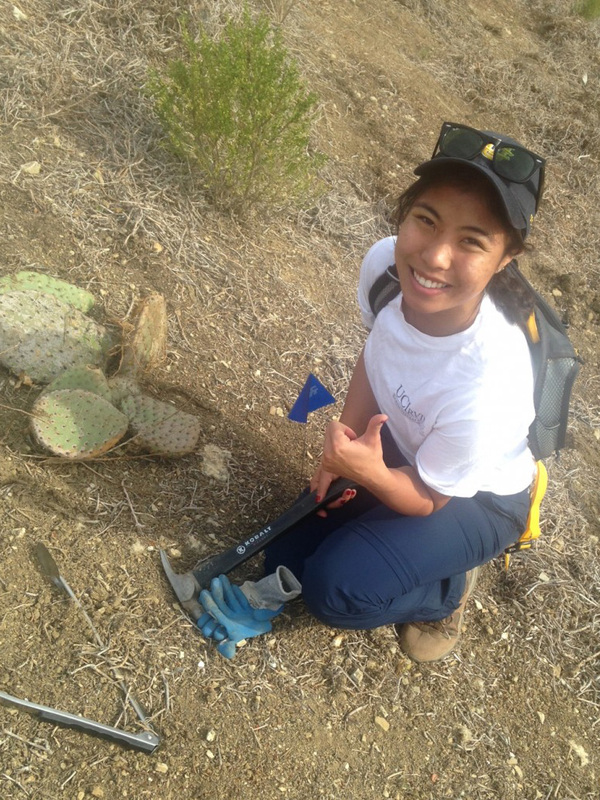 I was able to work with Back Bay Science Center and Crystal Cove Alliance for the majority of this internship. My focus was on education and outreach, so I worked with students aged 6-17 in different restoration projects. The most impactful programs I was able to be involved with are the Marsh’ns program at Back Bay Science Center and the Marine Protected Area Citizens Science Cruise at Crystal Cove Alliance. These two programs allowed me to grow as a leader in promoting sustainability and environmentalism. 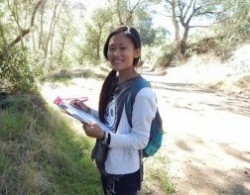 In educating students about how the environment plays an important role in the world, I am delighted to see that the programs spark curiosity and interest in the students. I hope to continue being a role model for these students throughout my career with CEB. As a CEB Intern, I lead education and outreach programs at the Back Bay Science Center in Newport. I have also recently begun a research project that involves comparing seeding and container planting. I enjoy getting to make a direct impact with restoration and learning about native plant species. I look forward to continuing to work on my leadership skills and becoming more familiar with the different aspects of research. After I get my BA, I hope to go to law school and get a JD in Environmental Law. CEB has given me the opportunity to work on many projects. Fall quarter I worked on the greenhouse germination trials, the UC, Riverside (UCR) project with the boring beetles on the UCI campus, the Citizen Science cruise, and oak monitoring. For the germination trials, I mixed the soil and watered and counted the seedlings. For the UCR project, I helped paint over the boreholes in the sycamore trees on campus. For oak monitoring, I helped gauge the physical health of the trees and look for signs of oak pathogens. For the Citizen Science cruises, I mainly helped with the Water Quality monitoring section, guiding students on how to use the equipment and take measurements. 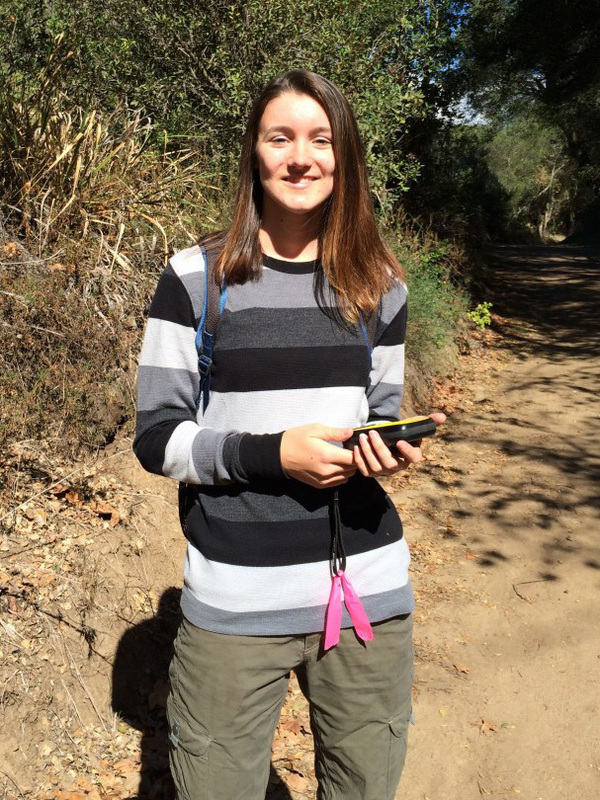 I liked oak monitoring because I got to hike in the oak woodland and do something meaningful for Southern California. Painting the trees for the UCR project was also enjoyable. Winter quarter, I expect to continue the same projects such as the UCR project with the boring beetles, but I also expect that I will be involved with projects that are completely new to me, like the passive restoration experiment. 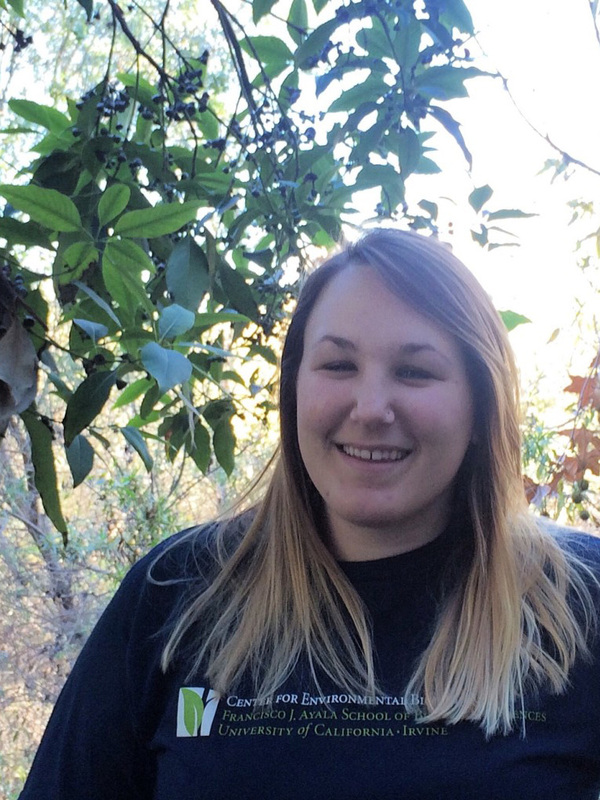 The Center for Environmental Biology has provided me plenty of opportunities to not only prepare me for my potential future career as a forest ecologist, but also offered priceless experiences that I would have never found elsewhere. 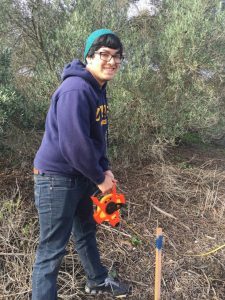 I was able to immerse myself in doing fieldwork to help with research projects such as monitoring oak trees, measure soil erosion, germinating both native and invasive plants, assist in education and outreach programs, and more. My favorite project would be oak monitoring because I was able to experience what it meant to work in the field and bolster my understanding of trees. CEB is a great environment to help me find my strengths, weaknesses, likes, and dislikes in a career. Not only did CEB create a window for my future career, it’s also run by amazing staff members that are more than willing to cater to our questions and needs. I can’t thank CEB enough for the experiences that I have gained! 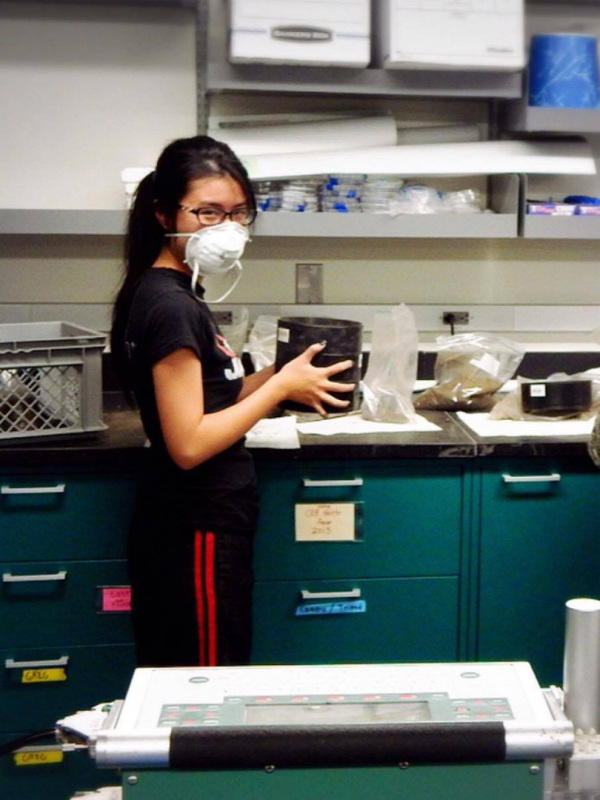 One of the main goals that I set for myself immediately after choosing to major in Earth System Science was to gain field experience through an internship. After just one quarter, I can confidently say that the experience and exposure to opportunity that I have gained through my participation with the Center of Environmental Biology has exceeded my expectations. The highlight of my experience thus far has been my involvement with the Crystal Cove Alliance Citizen Science Cruises. I really appreciate the sense of community that is fostered by informal science settings. I hope that in the future I will have a career that allows me to continue to interact directly with my community. 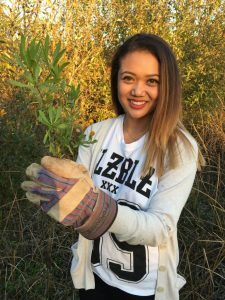 As someone that has become increasingly fond of nature, I would like to have a career that not only allows me to work outdoors, but also for that effort to have a positive influence on the environment. 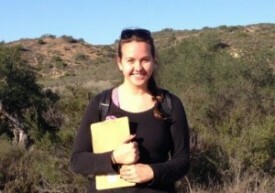 The CEB Internship has allowed me to participate in fieldwork such as restoration ecology and oak monitoring. I continue to find this experience important because it provides me with tangible insight into an area that I am interested in for my possible career. Although my focus is on research, I appreciate the education outreach that accompanies because sometimes science must be translated to the public in order to have a meaningful impact. This program has been great, and I look forward to what additional experiences it will bring forth. The Center for Environmental Biology Internship was a platform for me to network with researchers, field coordinators, and professors as well as bridge the gap between research and environmental outreach. By collaborating with Crystal Cove Alliance, I had the pleasure of assisting the educational design for their leaf litter project. 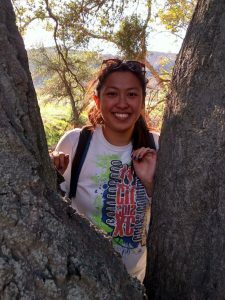 What started out to be a small concern on climate change has led me to discover my passion for translating research and conveying the importance of ecosystem services to the general public. 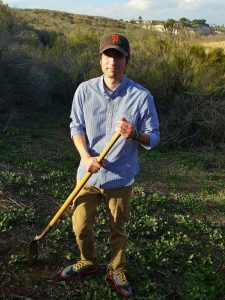 The Center for Environmental Biology has given me unique opportunities to work in the surrounding Newport Bay area that are incredibly intriguing. Through working at the Back Bay Science Center and with Crystal Cove Alliance, I have been able to work with many volunteers and even help in creating new education and outreach projects that will conduct citizen science data analysis in the near future. Throughout the fall quarter, I have been able to see the direct impact that I have made along with volunteers in helping to restore the Newport Bay area from invasive plant species. I am very glad to have the opportunity to work with CEB and have high hopes for the work I will be able to conduct and experience in the future. I’ve always cared for the environment—a concern that, along with my desire to explore the possibilities of biology, got me interested in becoming a CEB intern. The incredibly versatility of the program is even more fitting than I anticipated. I was always worried that the “traditional” layout of the sciences would not work for me—that a cause would be worked towards in a remote, outsourced fashion and I would lose sight of the goal. I’ve always wanted to be able to directly work for issues I am passionate about, and I feel like this internship has given me the opportunity to do so. I work in both research and education/outreach fields. 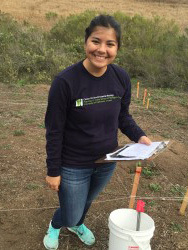 I am able to complete a vast variety of fieldwork directly in the Orange County setting as well as communicate with the younger generations about the importance of what we do. I look forward to the rest of the year and future experiences with this wonderful group. My time as a CEB intern has been filled with many positive experiences. I applied to this program due to my passion for learning about environmental problems and how to help preserve and restore natural ecosystems. 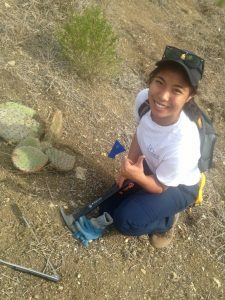 This internship has not only let me work with scientific equipment and conduct fieldwork around Orange County, but it also provided an opportunity for me to learn how to communicate science to various audiences. Originally, I was very unsure of what I wanted to do, but with the help of my fellow peers and superiors, I have realized that I want to work within the realms of conservation and restoration. Over the years, I have gained a passion for the outdoors, sustainability, conservation, and ecosystem management. The CEB program has allowed me to work in the field with faculty and other local organizations researching these interests. I’ve even been able to share my knowledge in education and outreach programs. I have had the opportunity to work outside in the chaparral regions in Orange County and learned more about my backyard than I could in any classroom. I definitely feel better prepared for the workforce from the experiences I’ve gained from the CEB program and its faculty. 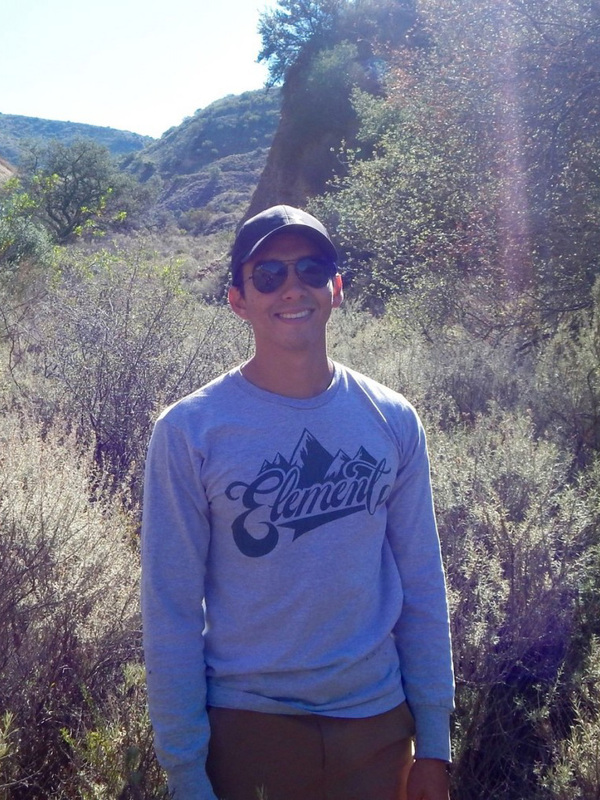 I have always loved hiking and spending time outdoors. This internship has allowed me to work in many beautiful environments as well as help teach others about the importance of environmental sustainability. 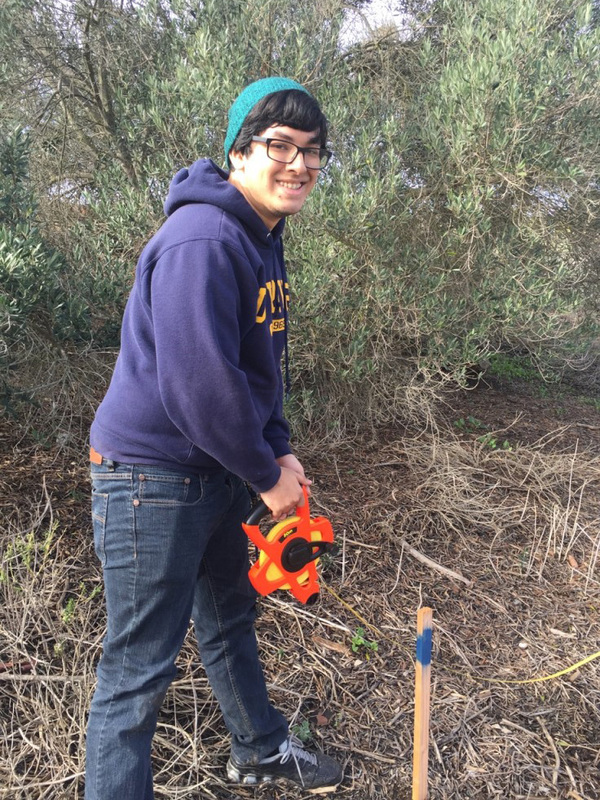 Some of the tasks that I have really enjoyed doing this year include oak monitoring, collecting and analyzing data, as well as working with UC Riverside on finding methods to prevent the spread of the Polyphagous Shot Hole Borer, an invasive species that is currently affecting many trees on campus. Interning with the Center for Environmental Biology has been an amazing experience that has taught me so much about restoration ecology as well as education and outreach.